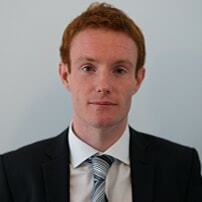 Teaching Experience : Kevin is a barrister qualified in the UK, Ireland and New York. He has a First Class Honours Degree from the largest university in Ireland and won numerous scholarships and awards during his legal training. After qualifying, Kevin practiced at the UK Bar for a number of years at an award winning Chambers where he built a successful practice. Kevin is co-author of a leading legal textbook and has had numerous articles published in recent years. Kevin has considerable tutoring experience and during the last two years in the UK has accumulated over 500 hours of tutoring. In addition to tutoring law, Kevin has also worked as an English teacher in both Japan and Honduras so has experience at teaching to students from a variety of different standards and backgrounds. Kevin's diverse legal background means that he is uniquely positioned to assist both BPTC or undergraduate studies across a range of legal subjects.